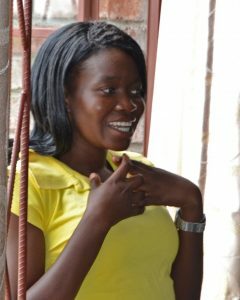 Marilyn, age 26, is a Grassroot Soccer (GRS) Coach in Bulawayo, Zimbabwe. Marilyn is part of a unique GRS programme called “SKILLZ+”, which is designed to help HIV+ youth understand the risks that they face, build the life skills they need to make healthy choices, develop trust, and tackle stigma. Participants become part of the SKILLZ Club, which is run by HIV+ Coaches who can share similar life experiences and become trusted mentors in guiding those who test positive through important issues such as acceptance, disclosure, healthy living, and adherence to treatment. Eight Big Wins That You’ve Made Possible for Youth in 2016!